Chiropractic medicine is a form of natural health care that focuses on treating a patient without the use of drugs or medicines. Doctors of Chiropractic, more commonly known as Chiropractors, are primary health care providers licensed in all 50 states, and are recognized by governmental health care programs such as Medicare, Medicaid, Workers’ Compensation programs and more. Every year, more than 30 million Americans see Chiropractors as part of their regular health care program. With over 84,000 licensed chiropractors nationwide and more than 10,000 students currently enrolled in chiropractic school, it is the fastest growing health care profession. Chiropractors frequently treat individuals with problems, such as headaches, joint pain, neck pain, low back pain and sciatica. A Chiropractor is involved in the treatment and prevention of disease, as well as the promotion of public health, and using a wellness approach to patient healthcare. The practice and procedures that are employed by Chiropractors are based on the academic and clinical training received in and through accredited Chiropractic colleges. Chiropractors frequently treat individuals with problems such as headaches, joint pain, neck pain, low back pain, whiplash, shoulder pain, sciatica and many other chronic conditions. Chiropractors also treat patients with osteoarthritis, spinal disk conditions, carpal tunnel syndrome, tendonitis, sprains, and strains. However, the scope of conditions that Chiropractors manage or provide care for, is not limited to the common pains and problems listed above. Chiropractors also have the training to treat a variety of conditions such as allergies, asthma, digestive disorders, and other disorders as new research is developed. Many people often think that they only need to see a Chiropractor when they have a back or neck pain, but the truth remains that regular visits to a Chiropractor is vital to maintaining sound health and fitness. Everyday events such as improperly lifting of an object, sleeping in the wrong position, or poor posture can put strain on the spine and cause “subluxation” (See underneath), which leads to your body being unbalanced. Regular visits to a Chiropractor can help to keep your spine, which has over 24 movable vertebrae, properly aligned and healthy. Additionally, there are other times when visiting a Chiropractor may be necessary to remain healthy. Pregnant women should definitely plan to visit a Chiropractor during the pregnancy period to relieve stress on the framework of the body from the additional weight of the maturing baby. These visits can help to lower the incidences of pain in the lower back and between the shoulder blades that pregnant women often experience. Additionally, the headaches and nausea that often accompany the pregnancy period can be minimized or even eliminated with regular visits to the Chiropractor. Todays research reveals more and more that treatment of just the symptoms with drugs and surgery is ineffective and at times dangerous. The Chiropractic approach is proving to be the right way to go. Subluxation is a term used in the chiropractic field to describe what happens when one of the vertebrae in your spine moves out of position. The word “subluxation” is derived from the Latin words meaning somewhat or slightly (sub) and to dislocate (luxate). When this happens, the misaligned vertebra creates pressure and stress on the spinal nerves, blood vessels, and surrounding muscles. This pressure and stress can cause an imbalance in the body’s normal processes as the nerves in the spinal column extend to the entire body and its organs. As time goes on and the uncorrected subluxation settles, the damage to the nerve gets progressively worse and different stages of subluxation (See below) degeneration set in. Regular visits to a licensed chiropractor can help to reduce the effects of subluxation and may be necessary maintain good health and physical fitness. Phase two subluxation degeneration is normally seen in subluxations that have been present between 20 and 40 years. This phase has some of the same characteristics of the previous phase including a loss of normal curvature and position as well as an alteration in small motions. In addition, spines with phase two subluxation degeneration often show a reduction in the patient’s range of motion in that area. X-rays of a phase two begin to show calcium changes or buildup at certain levels of the spine. These changes are sometimes called by many names including spurs and arthritis. Disc spaces between the affected vertebrae are noticeably narrower and may appear to be flattening out. Although most people with phase two subluxation degeneration may not exhibit any symptoms, some may start to feel stiff or achy. Chiropractic reconstructive care for patients in phase two ranges from 1.5 years to 2.5 years. Again, if phase two subluxation degeneration is left uncorrected it slowly advances to the next phase. Phase four subluxation degeneration is seen with subluxations that have been raging on uncorrected or altered for over sixty five years. Phase four is a grave condition that will negatively affect the patients longevity and quality of life. The massive amount of neurological damage caused by years of subluxation that have lead to phase four are probably taking a serious toll on this person’s health status. X-rays in phase four show serious severe structural changes. Vertebrae exhibit massive calcium changes, disc spaces appear blurred, and the bones themselves appear fused. In this scenario the patient will have a severe restriction of range of motion in addition to probably a number of other health issues. Reconstruction may not be possible in phase four, but care can be directed to some reduction in subluxation with the goal of improvement in the quality of life remaining. Patients in phase four subluxation degeneration have a serious situation both structurally and neurologically, but they are certainly not beyond hope. Many chiropractic patients in phase four report significant improvements in symptoms, conditions, mobility and quality of life. The science of Chiropractic is based on the law of homeostasis – a state of physiological equilibrium within an organism produced by the proper functioning of its parts. It focuses on the anatomy of the body – its innate ability to heal itself and the interconnection of every internal function in maintaining whole-body health. 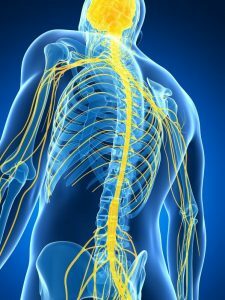 The primary control center of this network is the nervous system, which flows through and can be manipulated by the 24 vertebrae of the spinal column. The vertebrae are divided into three classes – Cervical (C), Thoracic (T), and Lumbar (L). By understanding the role that each vertebrae within the spinal column plays, a doctor of Chiropractic, otherwise known as a Chiropractic Physician, can affect the way the body responds and restore a balance that facilitates its own healing system. The Chiropractic approach to healthcare is natural, emphasizing the components involved in a patient’s overall health and well-being – including diet, exercise, environment, stress level and hereditary factors. The Chiropractic approach is non-surgical and drug-free. As with their treatments, doctors of Chiropractic address not only the source of pain an individual experiences, but the patient’s overall state of health and the factors surrounding it. They work with the individual to devise a treatment consistent with diet and exercise for optimal results. In order to gain the best understanding of a patient’s condition, a patient’s medical history is obtained, along with their daily emotional and physical activity, neurological and orthopedic examinations when indicated and sometimes laboratory tests, X-rays and other diagnostic images. A common cause of neck & back pain, the term pinched nerve means that a nerve has been compressed, constricted or stretched in some way – causing numbness, tingling, burning sensations and/or a pain radiating outward from the injured area. Nerves originating in the neck & back may become pinched and trigger pain, numbness and tingling into the shoulder and arm. Often times bone spurs or degenerated discs affect the canal space between vertebrae – through which the nerve passes. And occasionally a compressed nerve in the neck & back is the result of a trauma to the neck & back may cause the vertebral joint to become inflamed and the muscles of the back to tighten. Treatment concentrates on reducing the compression and help loosen muscles, in order to reduce inflammation and corresponding pain. The longest nerve in the body and the main nerve traveling down the leg is the sciatic nerve. When pressure is placed on the sciatic nerve from a ruptured disc, pinched nerve, or slipped disk, the condition is referred to as Sciatica. Sciatica causes a pain along the large sciatic nerve – running from the lower back down the back of each leg. Often diagnosed as a radiculopathy – which means that a disc has protruded from its normal position in the vertebral column and is putting pressure on the radicular nerve (nerve root) connecting with the sciatic nerve – it is a fairly common cause of lower back and leg pain. Generally, sciatica only affects one side of the lower body – radiating from the lower back down through the thigh and lower leg, but can in some cases also affect the foot or toes. Since this type of nerve pain is generally caused by a combination of pressure and inflammation on the nerve root, treatment is centered on relieving both. The irregular side-to-side curvature of the spine is called scoliosis and cannot be corrected with better posture. It is generally a hereditary condition and affects only a small percentage of the population. Scoliosis usually develops during middle to late childhood and the vast majority of cases are considered Тidiopathic,У or of unknown cause. While it can occur in children with cerebral palsy, muscular dystrophy, or spinal bifida, it is most often found in otherwise healthy children. Adult scoliosis may represent the progression of an undiagnosed condition that began in childhood. A slight curve may, in adulthood, have progressed to a more severe curvature in the absence of treatment. It can also be caused by the degenerative changes of the spine. Other spinal deformities may be associated with osteoporosis, or bone softening. If left untreated, severe adult scoliosis can lead to chronic severe back pain, deformity and difficulty breathing. Some early signs in children may be: uneven shoulders, obvious leaning to one side, uneven waist, prominent shoulder blade(s), and elevated hips. Chiropractic treats a variety of headaches successfully from tension headaches to cluster and migraine headaches. When the ulnar nerve, which runs from the side of the neck to the fingers and passes through the cubital tunnel on the inside of the elbow, becomes irritated as a result of an injury or repetitive stress, the resulting condition is Carpal Tunnel Syndrome. It occurs when the elbow is often bent in lifting or pulling activities, subjected to the continuous pressure of leaning on a hard surface, or sustains injury. The pain experienced is similar to that which is described when hitting the “funny” bone in the elbow. Other symptoms may include numbness in the side or back of the hand, or tingling in the ring and little fingers. The symptoms worsen when the elbow is bent and may cause difficulty when opening jars or holding things. Often referred to as nerve interference, vertebral sublaxation is the misalignment of vertebrae in the spinal column, or movement of the vertebrae. Often times when this occurs, nerves are encroached – affecting the nervous system and the function of involved organs. By realignment the affected vertebrae, nerve interference is eliminated and proper bodily function is restored. Among the most common injuries that result in conditions treated with Chiropractic care include on-the-job injuries, sports injuries and injuries resulting from automobile accidents. Ranging from tennis elbow and a pinched nerve to subluxation, injuries prompting such conditions can result from repetitive stress, such as that experienced in many job-related activities; an awkward move, twist or fall that often occurs in sports; and an unexpected jolt from an automobile accident. As our population becomes more active we see a variety of sports injuries from golf, tennis, soccer, running, basketball, football, baseball, water skiing and even rugby. All of the above injuries can be sustained on-the-job where the condition can go from a pulled muscle to a herniated disc to carpal tunnel problems. We are on the “Worker’s Compensation Approved Doctor List” for Texas. Injuries of all types are also sustained in car accidents. Whether your car is totaled or the vehicle damage is slight, you can sustain many types of injuries from mild to severe which may respond to chiropractic care. Chiropractic can also be helpful in helping maintain your alignment, therefore, helping prevent future problems and helping decrease recovery time if an injury is sustained. You do not have to be experiencing symptoms to benefit from manipulation/adjustment. Stay healthy–see your chiropractor once a month and see how much better you will feel.